Many cans offer ring-pulls now but there are always plenty of exceptions too. 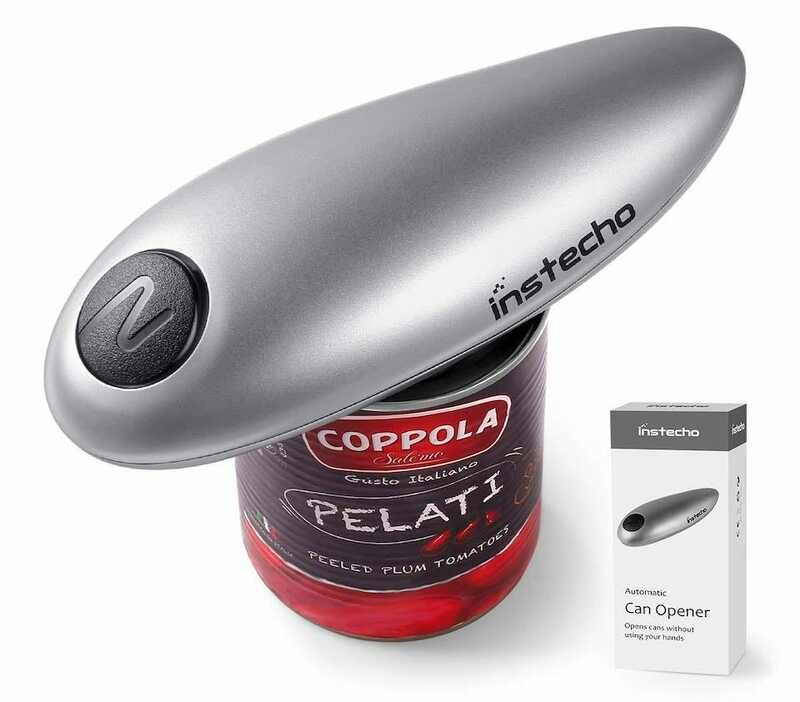 A manual can opener is ideal if you’re camping, but when at home (and with a power source), it’s so much easier to plug in a can opener and let it do all the hard work. That’s even more important if you have any disabilities or weaknesses that make it hard to do things with your hands. A good electric can opener doesn’t have to cost a fortune, so here’s a selection of the best devices out there, along with details on how they can help you out. 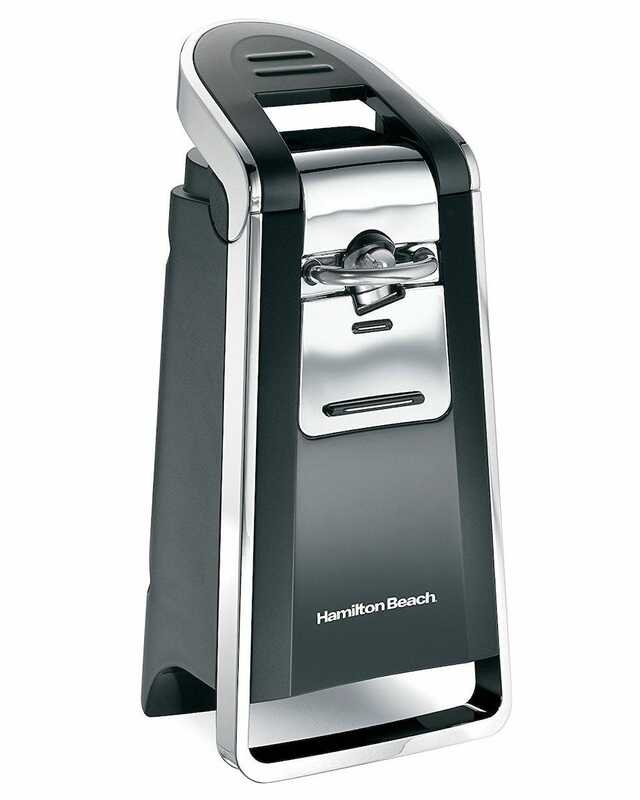 Hamilton Beach is a regular go-to place for good quality kitchen gadgets and it’s certainly the case here with the Smooth Touch Electric Automatic Can Opener. It’s the priciest can opener here but it’ll last you a long time. Simply place your can at the top of the device then hold down the large lever above it, and the can opener does the rest. The pushdown lever is just the right size so that even if you have mobility issues, you won’t have trouble finding it. There’s no need for holding onto anything fiddly here. The device has a side-cutting system that removes the top while leaving a smooth edge, so you limit your risk of cutting your finger at any point. It works on standard-size cans as well as cans with pop-top lids meaning there’s little it can’t handle. It looks pretty appealing too. 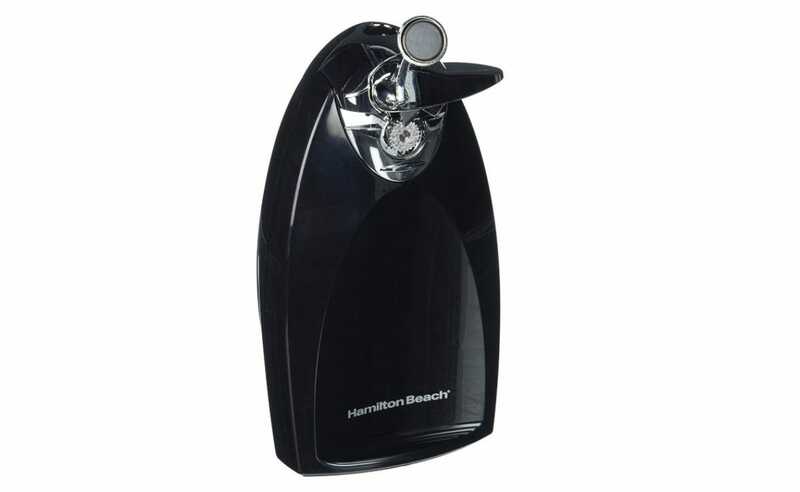 Two times where Hamilton Beach rules the roost? Well, yeah. In the case of the Classic Chrome Heavyweight Can Opener, that’s because it also has the bonus of including a knife sharpener on the bottom of the device. Is it as good as a dedicated knife sharpener? Not exactly, but for the average user, it’s far better than just leaving your knives to go dull which is far too common for many people rushing around their kitchen. 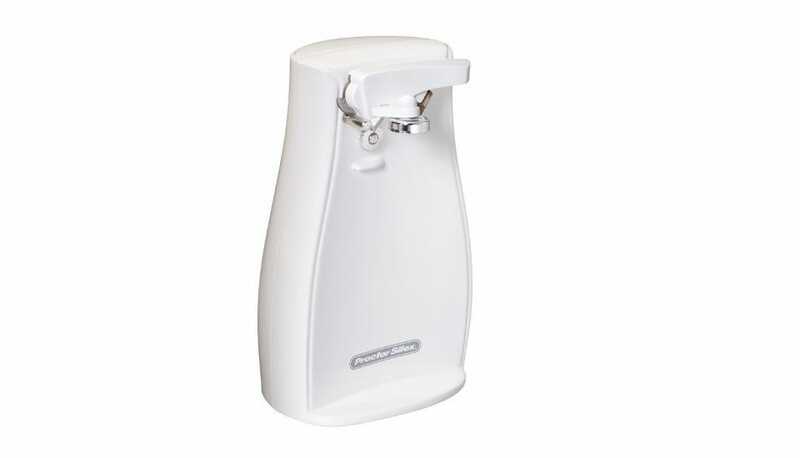 As well as that, its can opener is safe and sturdy and able to tackle any can you try it with. It has a magnet on the top so your can clings to it as it does its magic. The cutting unit is also removable so you can wash it safely and easily away from the rest of the device. It’s a high-quality combo unit. A handheld can opener can be pretty useful if you have limited space in your kitchen and you don’t want to need room for yet another electrical unit. 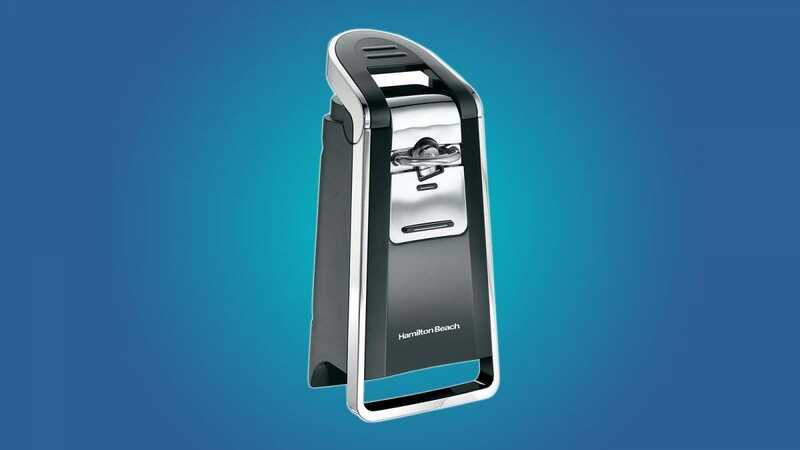 The Instecho Electric Can Opener is small enough to store in a drawer while still competent enough that you don’t have to worry about using manual effort to open a can. All you do is place it on top of a can then hold the button down on the top of the device. It requires a little pressure but nothing too major. 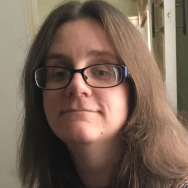 Instead, it’s as effortless as it sounds and lends itself perfectly to people with issues with their hands, or that want a smaller electric can opener they don’t have to leave on the counter. While it cuts the lid out, it also smooths out the edges so you end up with an easily resealable lid with a smooth edge at the end of it all. What more could you want? A good old fashioned unexciting can opener still works as well as a more stylish looking example. If you don’t use one very often but could still do with the convenience of an electric device, give the Proctor Silex Electric Can Opener a try. It’s as unexciting as it sounds but it has all the basics it requires. That includes a magnet to keep your can attached to the cutting area, and even a simple knife sharpener on the back of the unit. This really isn’t for anyone that likes to have a stylish kitchen, and we’re a little unsure of its longevity compared to more expensive models. However, if can opening is only an occasional thing you do—this will do you just fine.